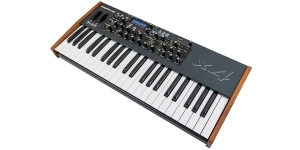 A 44-note semi-weighted keyboard with aftertouch offers a 100% analog signal path, 4 voices of polyphony, a wide range of modulation possibilities featuring 20 sources and about 50 destinations, easy and quick sound programing. 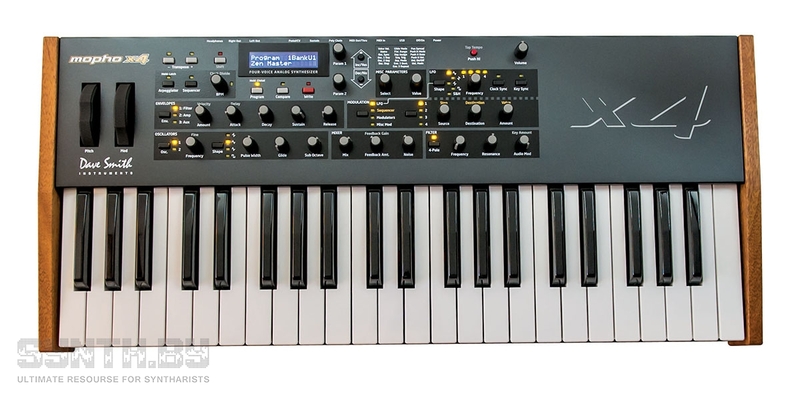 There are two analog oscillators and two sub-octave generators, four LFOs, three 5-stage envelope generators, a low-pass filter per voice. 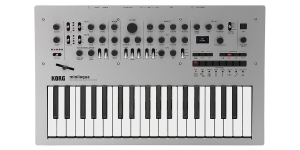 The instrument comprises a 16x4 step sequencer and arpeggiator. 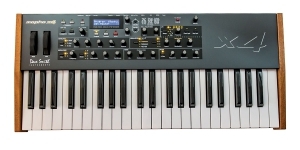 You’ll like the versatility of the dense analog sound with powerful leads, heavy basses and lustrous pads. 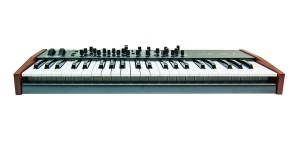 The instrument is expandable so you can have a bigger polyphony if you require more voices – Poly Chain feature allows connection to DSI’s Mopho, Tetra and Prophet ‘08. 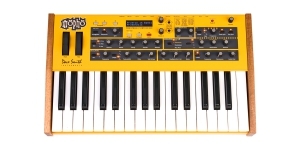 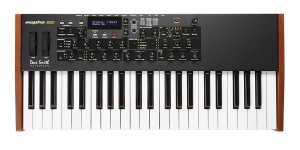 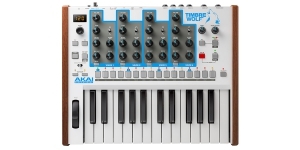 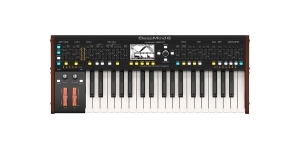 It’s a smart compact but mightly keyboard which is both playable owing to the uniquely-numbered 44 velocity and pressure sensitive keys and applicable anywhere due to an impressive set of knobs. 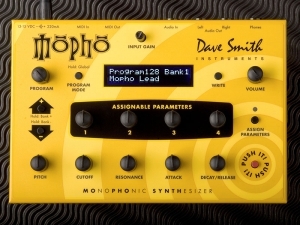 Dave Smith is a legend among analog synth manufacturers that’s why Mopho x4 is based on the exquisite analog component technology. 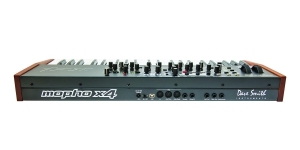 Each of the four voices has 2 VCOs, 2 sub-octave generators, a famous 2-/4-pole Curtis low-pass filter, 4 LFOs, three 5-stage envelope generators, an arpeggiator and a 16x4 step sequencer.